Welcom to Midori Restaurant located in Princeton, NJ 08540. We serve dine-in, takeout, delivery, and catering. Try our quick and easy online order service today! Get your favorite Japanese foods for takeout or delivery. We are open to suggestions. Please help us improve and serve you better. You can leave us your feedback online. We open 7 days a week. Monday to Sunday. As a guest in our restaurant, you will enjoy a heartily and freshly prepared lunch or dinner. Welcom to Midori Japanese Restaurant, located at 1225 Route 206, Princeton, NJ 08540. Our restaurant offers a wide array of authentic Japanese dishes, such as Miso Soup, Edamame, Shumai, Beef Negimaki. Try our food and service today. Come in for a Japanese Lunch Special or during evenings for a delicious Japanese dinner. 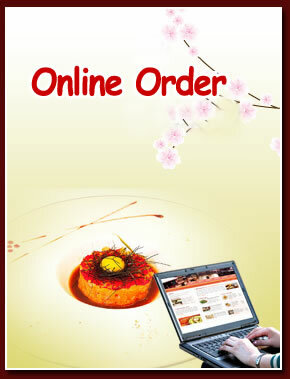 You can also online order your favorite Japanese food for take out or catering. Our goal at Midori Japanese Restaurant is to provide an unforgettable dining experience for all our patrons.